Join us for the grand re-opening of the Schlotzsky’s-Cinnabon in Omaha at 530 N. Saddle Creek. Doors open at 7am on Thursday, August 14 and the first 50 people to purchase a Cinnabon 6-Pack will get their choice of either free Cinnabon for a year or free Schlotzsky’s for a year. While you’re there, join our new Lotz4Me Guest Rewards program and don’t miss the ribbon cutting at 10am. Schlotzsky’s, a sandwich chain with 10 Colorado locations, says it plans to add dozens more by the end of the year in metro Denver. Austin, Texas-based Schlotzsky’s — a unit of Atlanta-based Focus Brands Inc. — says it has plans for 15 franchise deals in the city of Denver and another 30 deals in the Denver metro area by the end of 2014. Wheeler signaled that the company seeks “qualified franchise partners” in Denver. The move comes as homegrown sandwich chain Quiznos has faced challenges, shuttering thousands of stores in recent years and going through a pre-packaged Chapter 11 process. Schlotzsky’s also is targeting markets in Texas as well as Oklahoma City, Tulsa, St. Louis and Kansas City for further expansion. The chain says it currently has 350 locations in 37 states and three other nations. 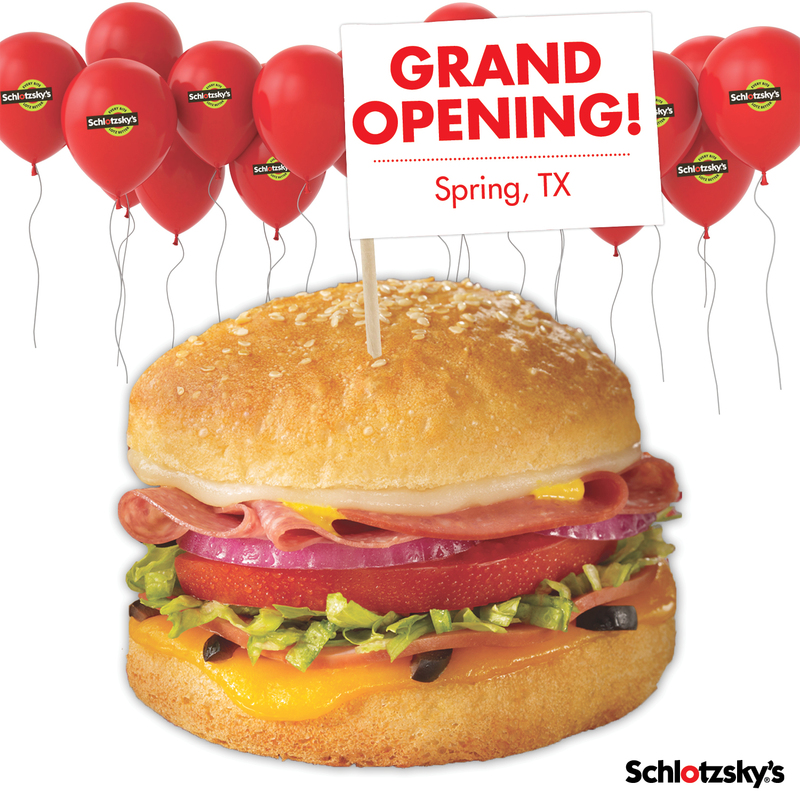 Schlotzsky’s AND Cinnabon are coming to Athens, TX! Grand opening celebrations kick off on Thursday, May 22. The doors open at 10am followed with games, prizes and more. The first 100 people to purchase a Cinnabon 6-Pack will get FREE Schlotzsky’s every week for a year!